Christine A. Vontz was born in Duisburg, Germany in 1936 and grew up in the Rhineland. After her studies, she worked for several years as a teacher and then moved with her family to Rye in New York State in 1968. There, she cultivated her love of art as a student at Manhattanville College in Purchase, where she focused on the technique of painting. 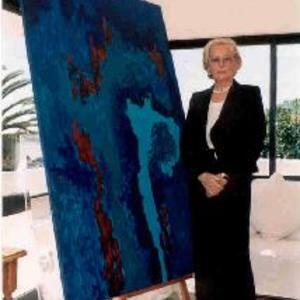 Today she creates her work of art on the Algarve coast, Portugal, where she lives since 1997. The intensity of nature, sun, wind and ocean continuously inspires her to new compositions.